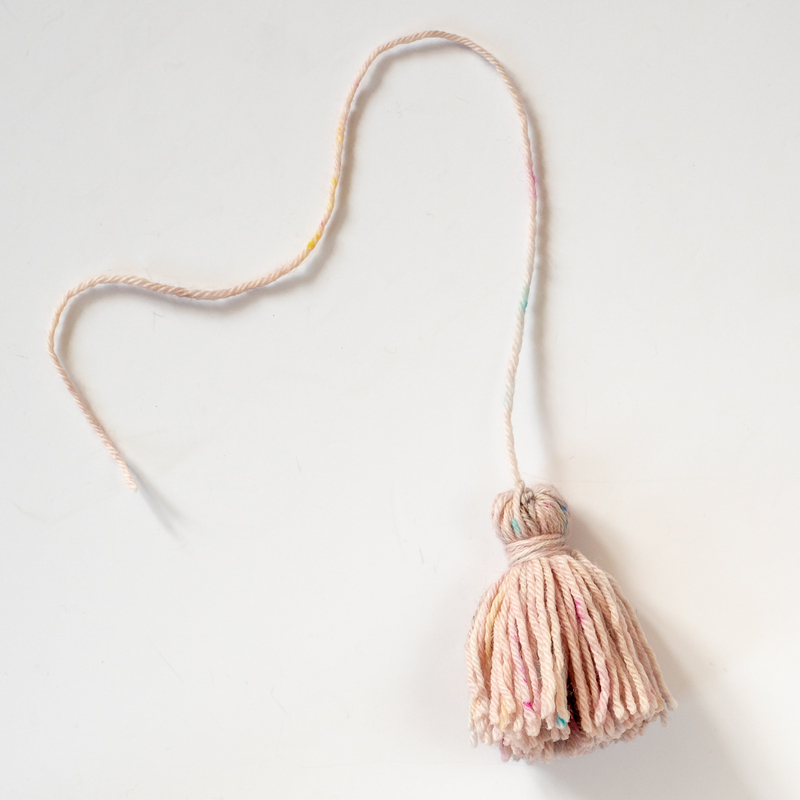 You can make tassels in any size. Our cardboard is about 7cm (2inches ) wide. 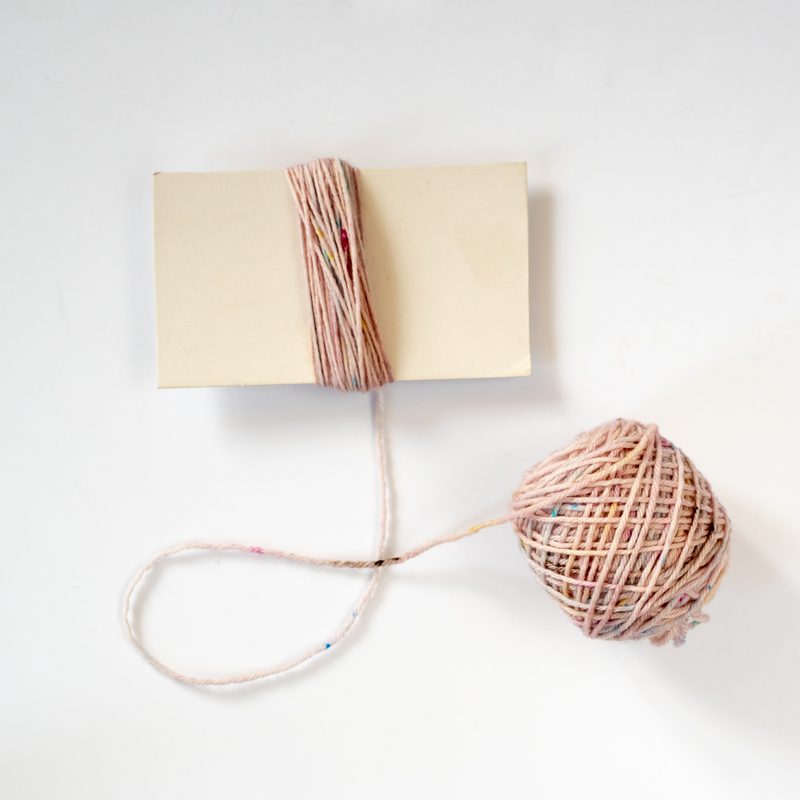 Wrap yarn around the cardboard. The more wraps, the thicker the tassel. Cut yarn 40cm longer than the end of wraps to make a tie at the top. 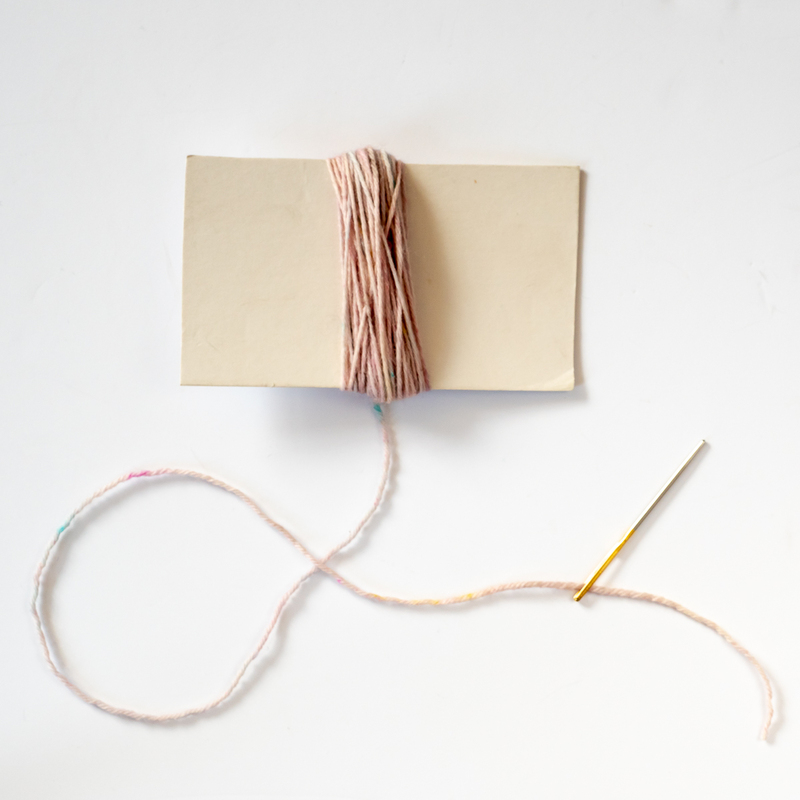 Thread onto a tapestry needle. Pass the end of the tapestry needle under the wraps and catch in a slip knot. Repeat until the top of tassel is securely fastened. Place the tied thread out of the way. 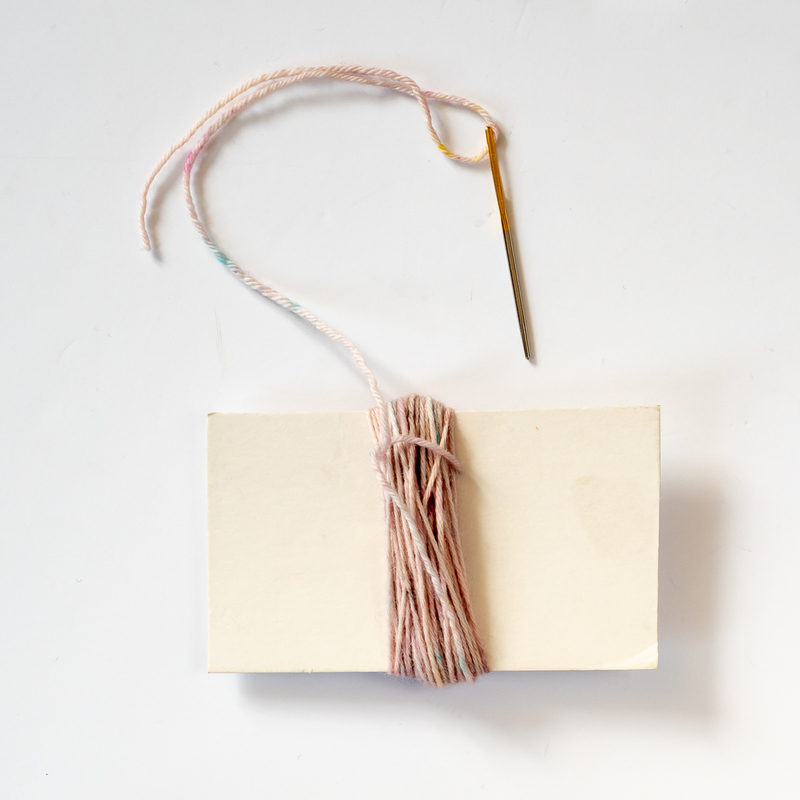 Cut a length of yarn and thread onto tapestry needle. 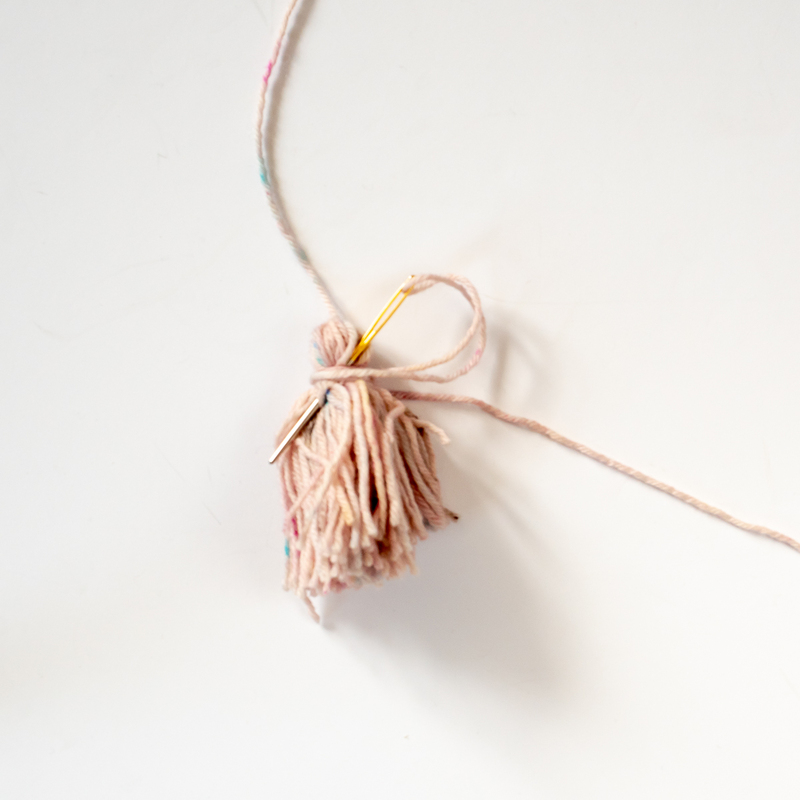 Cut the tassel ends to release them from the cardboard; hold them carefully, so that the knot stays at the top. 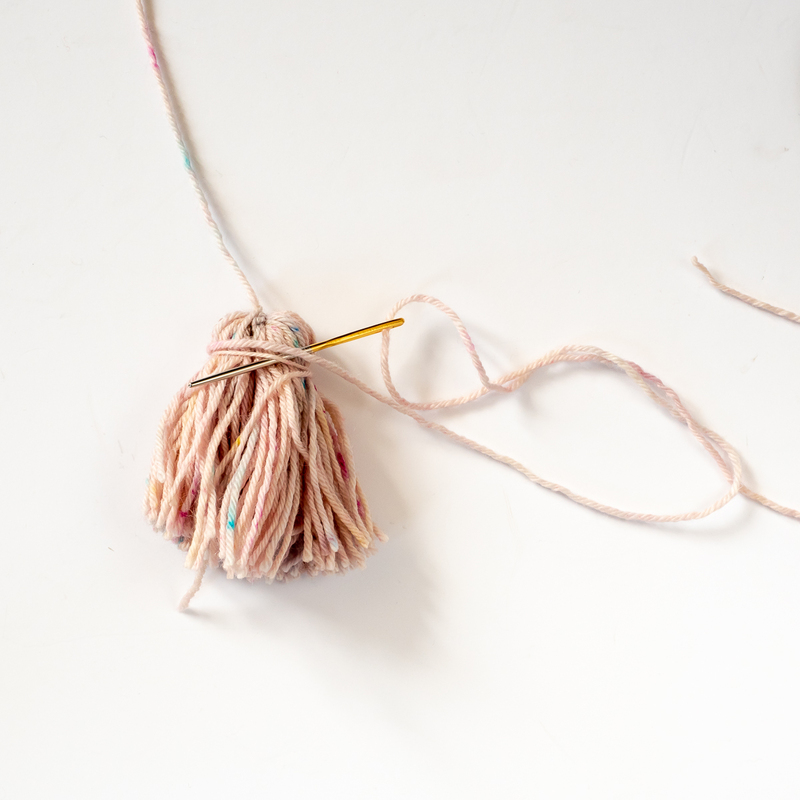 Lay the end of the yarn in line with the tassel ends and wrap it a couple of times around the whole bunch about 1cm from the top tie. Make a couple of knots in this tie and then continue to wrap so that the knots are concealed. 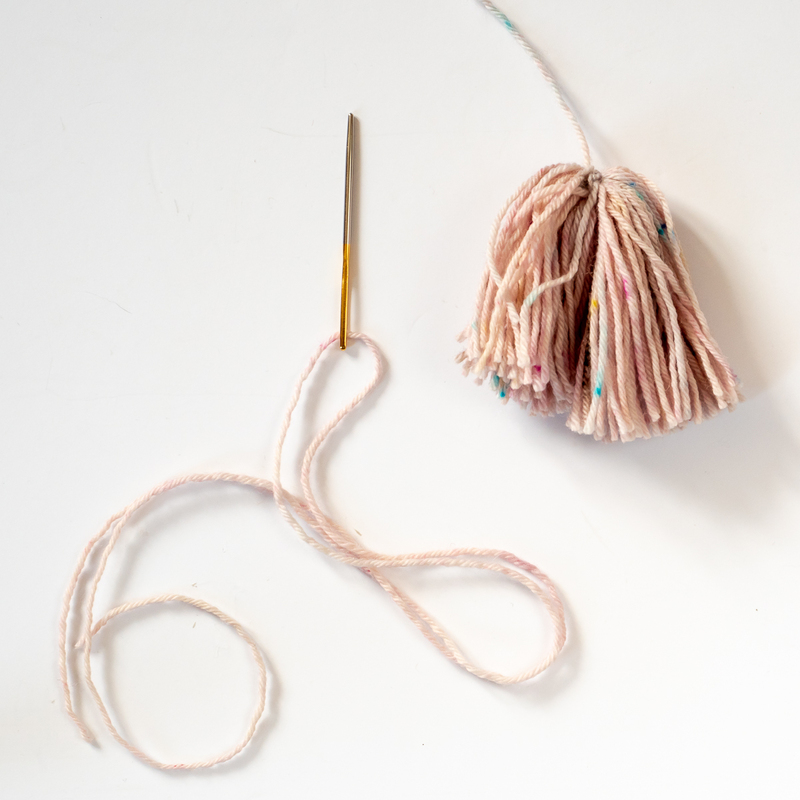 Pass the needle down inside the wraps and trim the end to match the tassel ends. Trim the tassels ends so they are neat. 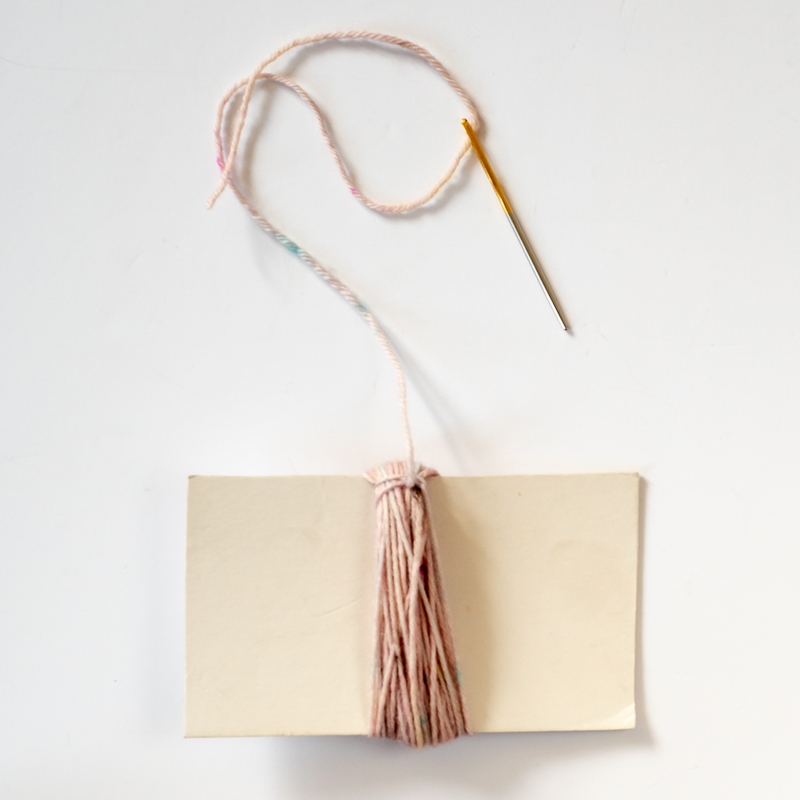 Use the tie end to fasten your tassel to your knitting.